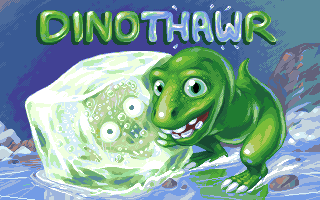 Dinothawr is a cross-platform, freeware puzzle game which explores a few simple mechanics. The game runs on Windows, Mac, Linux, Raspberry Pi, Android and more, using the libretro API. 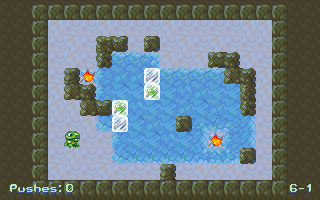 The goal of the game is to save your frozen friends by pushing them onto lava so they can thaw. The game includes 50 puzzle levels ranging from easy to very challenging, as well as the possibility of making your own levels by using Tiled. 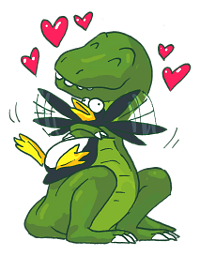 The game is open source and the assets have been released under a Creative Commons license. Nice game, I really like the graphics! Thanks! The game is now out on Google Play as well. Best puzzle game ever made in the history of Emulation!